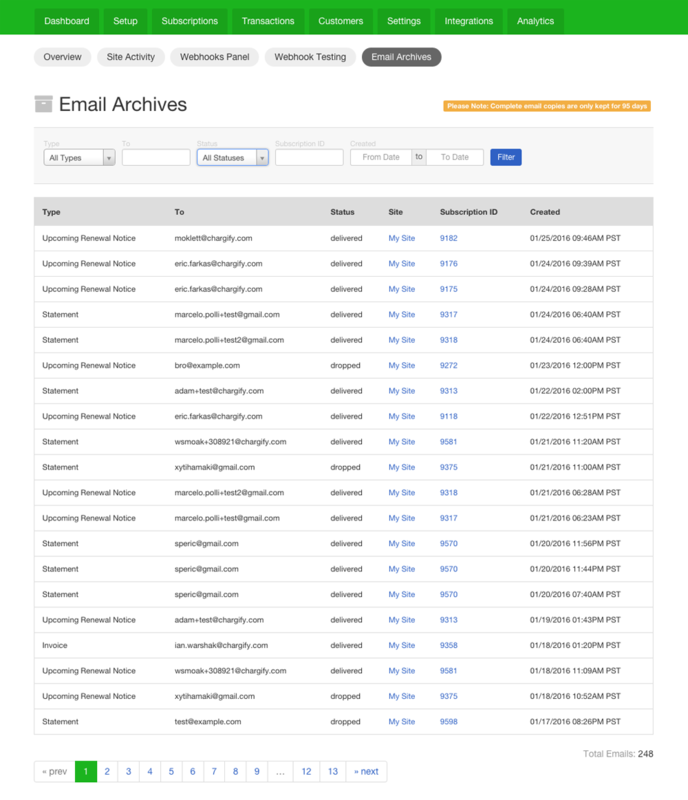 The new Email Archives feature provides deeper insights into system emails sent on your behalf to your customers. 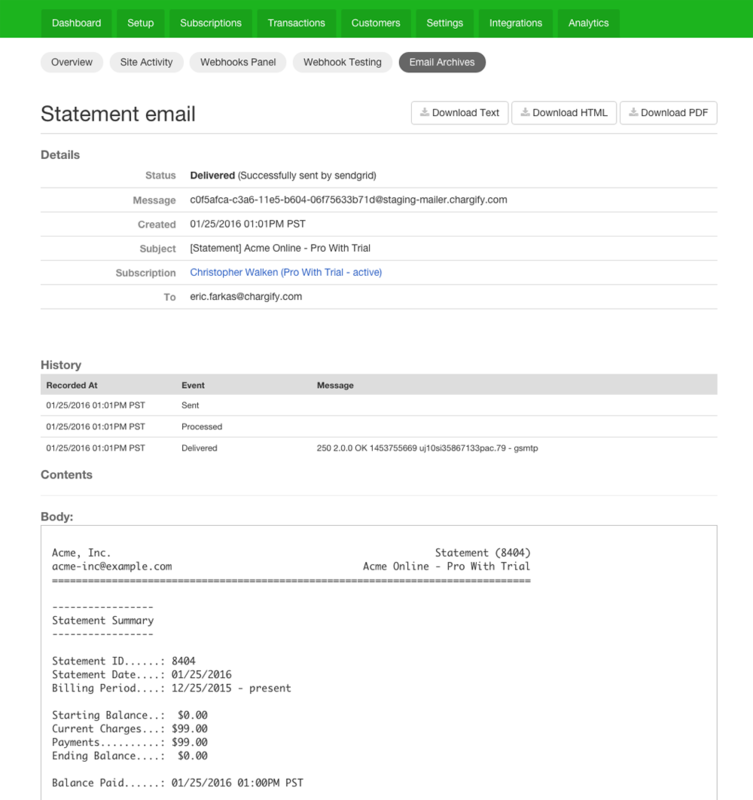 These “system emails” include signup emails, statements, trial ending notices, expiration notices, and many more configurable events within Chargify’s interface. 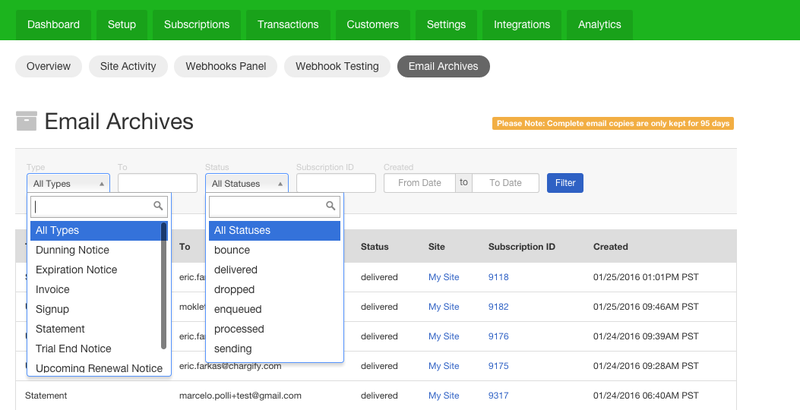 The new archives are helpful for many reasons such as if you need to see all emails sent to a certain customer/subscription OR you want to understand what system emails are not being delivered. Note: Only the past 95 days of emails are stored and available in this table (for now). If we see many requests for more historical data, we will consider expanding the report. Clicking on the Subscription ID will take you the subscription’s details page. Also, there is now a link in the subscription view’s sidebar that will take you to the email archives page, pre-filtered by that subscription. Clicking on the row of any record within the table will take you to a page where you can view the details of the email, view the body of the email, and download the different versions of it (text, html, pdf). We hope this new feature will not only make your life easier, but provides some comfort knowing that email logs are quickly available if/when you need them.